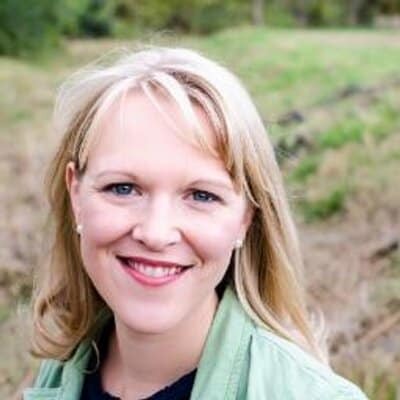 Hannah Anderson is a speaker and the author of Made For More: An Invitation to Live in God’s Image. She blogs at SometimesALight.com about “those times of shadow and light, of life and faith.” Hannah and her husband live in the Blue Ridge Mountains of Virginia with their three children. For me, this phrase captures that secret, helpless feeling we all know but few of us are brave enough to acknowledge. Unbelief, here, is not a rejection of God and His ways, but a confession of how very weak and vulnerable we are in the face of all that life holds. Even at our best, we are not enough. Even at its strongest, our faith is not enough. I take great comfort in Christ’s gentleness with Thomas when he doubted. It reminds me of Psalm 103: “He knows our frame; He remembers that we are dust.” At the same time, Christ’s compassion didn’t leave Thomas in doubt; He revealed Himself to Thomas and gave him what he needed in order to believe. Knowing that Christ extends this same kind of compassion to me actually enables me to trust Him more. There are all kinds of theological answers as to what constitutes valid belief; but I think belief comes down to trusting that His ways are beyond us. It’s not simply about paying credence to the fact that God exists or even certain theological paradigms; no, belief in God is fundamentally a posture of humility. Belief in God says, “I don’t know it all but Someone does and I trust Him.” I suppose in this sense, even the most appropriate theological answer could lack true belief. In many ways, doubt is the factory setting of our fallen hearts. We are helpless, flawed people and our inability to trust God is just one expression of this. So we shouldn’t be surprised when we doubt God—or when other people do—but often we are. We expect faith to be natural; but the truth is that faith is literally a work of God. This is why prayer is so vital to spiritual growth. When I voice my desires and concerns, I open myself up to see the hand of God at work. In order to pray, I must humble myself and relinquish the security that doubt can bring in order to allow for the possibility that God would actually hear me and keep His promises.